Exclusive ProLite "No Sweat" Diamond Pickleball Paddle Grip designed for ultimate tackiness that channels sweat away from your grip. The BEST pickleball paddle grip for sweaty conditions! Aggressive diamond shaped traction designed for maximum control and less twisting in hand during ball contact. Rubberized soft feel increasing your firm hold of the paddle. 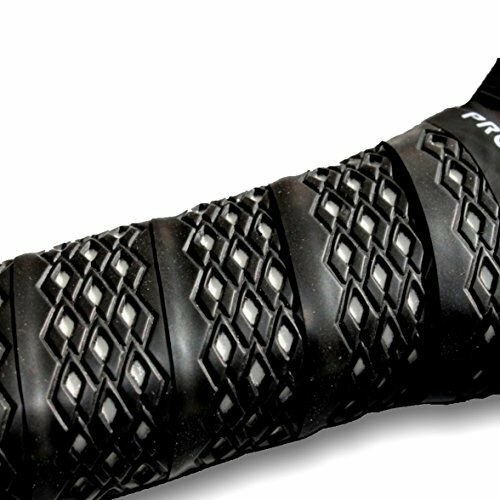 No grip on the market comes close to the comfort, strength, and durability of the No-Sweat Diamond Grip. Universal to so many paddle and racquet sports. If you have any questions about this product by Pro-Lite, contact us by completing and submitting the form below. If you are looking for a specif part number, please include it with your message.